The post-media condition is said to be characterised by a breakdown – if not a major reconfiguration – of mass media. ‘The archive’ is one of several major institutional figures that share its fate. Networked media have dramatically expanded the resources available for the development of shared reference systems. Yet, when it comes to our ability to turn these systems into reliable ‘archives’, we find that these same media escalate infrastructural challenges to the point where they become impossible to meet. 1 – Media are everywhere and have entered our everyday practices. As social actors we live, move and position ourselves in a number of larger medial fields. At the same time, media perform functions as recording and storing mechanisms, which have the capacity – or at least the implicit effect – of documenting our activities and expressions in ever increasing ways and with ever increasing ease. In this situation, we experience the seduction of an archival infinity of sorts; the potential of archives existing all around us, all the time. 2 – Post-media collectives were never interested in institutional archives in the first place. Their interest is rather in collective forms of enunciation, the formulation of non-aligned perspectives; routing around the archive as a hegemonic repository and totem. 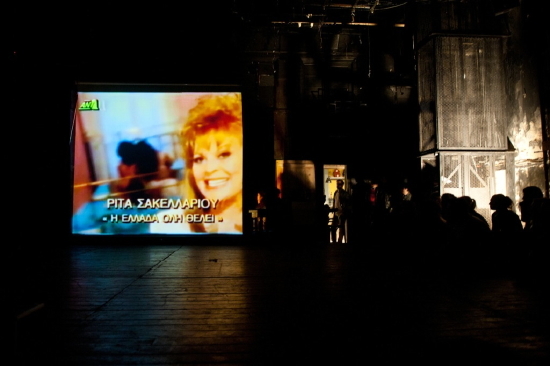 The archive’s codification of a shared cultural symbolism may be shot through with an ethic of remembering, conserving and holding, but wherever groups engage in critical and reflexive social positioning, they attempt to cultivate memory not towards the utilitarian end of storing ‘information’ or administering ‘documents’; rather in the service of constructing new social norms, new valorisations, new cultural and political protocols. 3 – If ‘the archive’ is to be associated with the containerised and mechanistic realities of a dying medial environment, then it must be made into an object of contention. If, as it now seems, ‘the archive’ is to become an integral part of new forms of governance within the control society, then it must be critically reviewed by all those who engage with it – all those involved in the metapolitical project of reconstituting memory, and reference, to their own ends, or that of a different future. For ‘Don’t Forget the Archives’, we are assembling projects which re-imagine the function formerly performed by ‘archives’. What was the archive in the first place and what, enlivened by the new patterns described above, can it be in the future-present? Everything is of interest: from deliberately non-archivable practices to ad-hoc and dangerous archives, to collections of tools and filters, archives of desire, imagination, enunciation and the never-achievable reconstruction of the ultimate, authoritative, comprehensive ‘cultural archive’. There is no list of criteria for entry into our temporary repository, as every post-media archive exists as a function of the endeavour it traces. We expecting anything, everything, nothing. This roundtable should be nothing more and nothing less than an attempt to investigate the arts of re-construction – of the embedded traces and shared resources of collective practice. 14:00 – Why Post-Medial Archives? An intro. Baruch Gottlieb> (transmediale>): What are we archiving for?